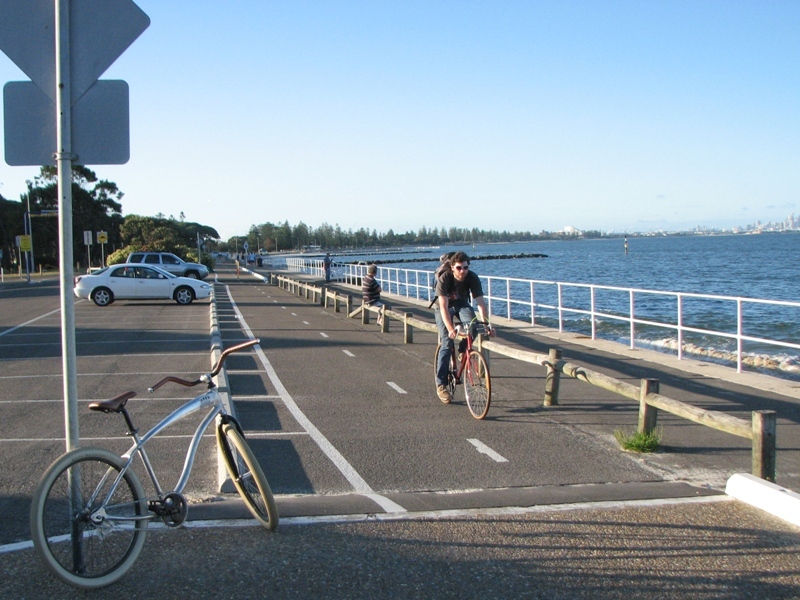 These pics are from a cruise with the girlfriend on our cruisers along the Brighton Le Sands cycleway. 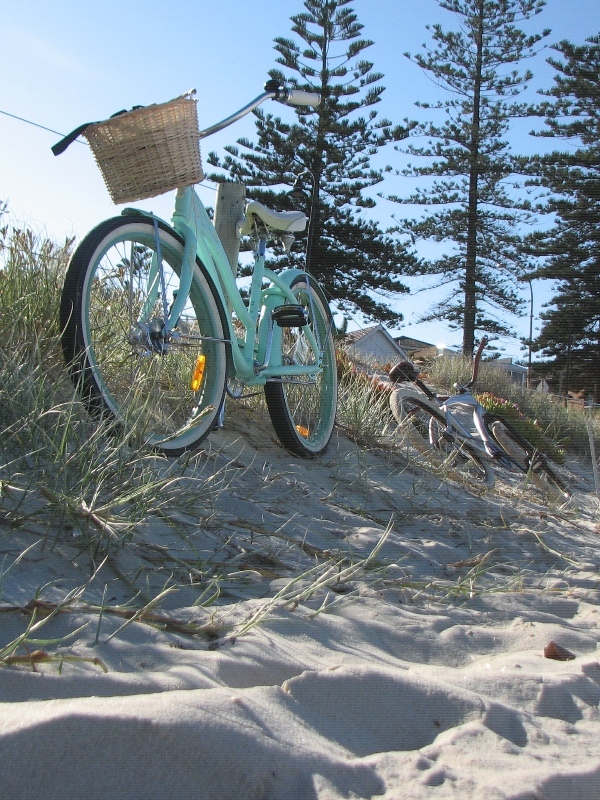 This is natural habitat for the beach cruiser, and the bikes lap up the kms and the looks. 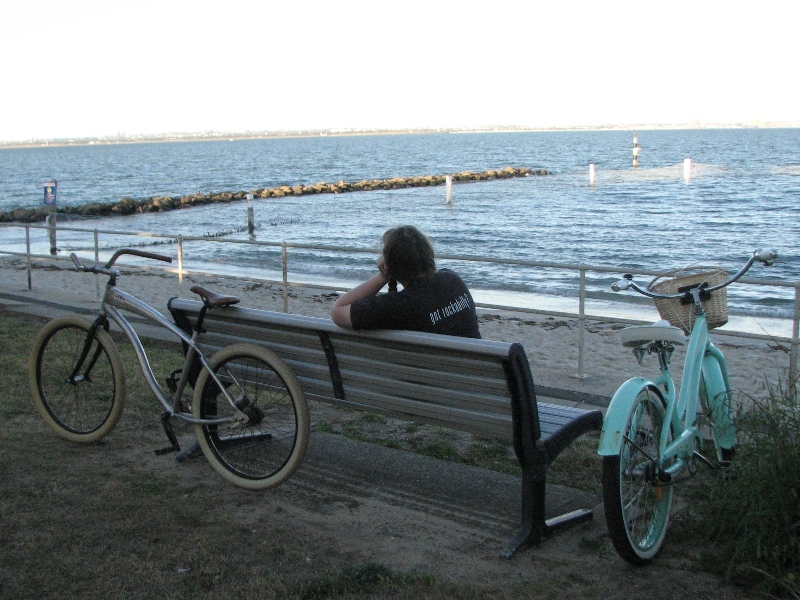 The great thing about daylight savings is you can head out for a cruise in the arvo and miss the weekend crowds (little kids running out in front of you and back pedal brakes do not make good friends). 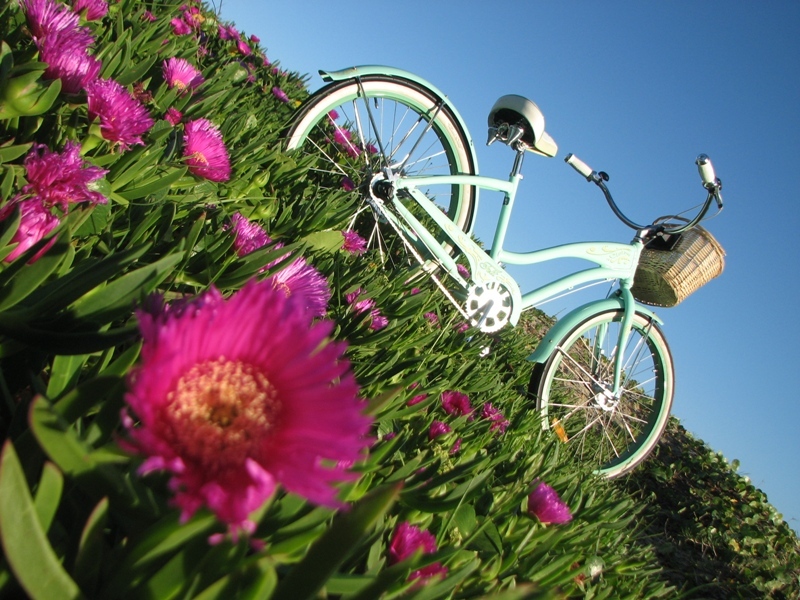 Bring back summer and daylight savings…. sigh. My girls’ bike is a Felt Claire, which has been treated to some thornproof tubes, slicks with whitewalls, and a wicker basket (perfect for carrying the car keys, wallet and camera). A 3 spd hub and drum brakes up front make it more friendly for her to ride. Felts have to be my fave brand of cruiser, this bike is the smoothest bike I’ve ever ridden! And I haven’t even mentioned the 50mm ride rims yet – fat! Chillin at the beach. Shortly after this pic I attempted some ’20s/30s beach racer-esque pics along the wet sand on my bike, and failed miserably, getting bogged in the wet sand… haha. 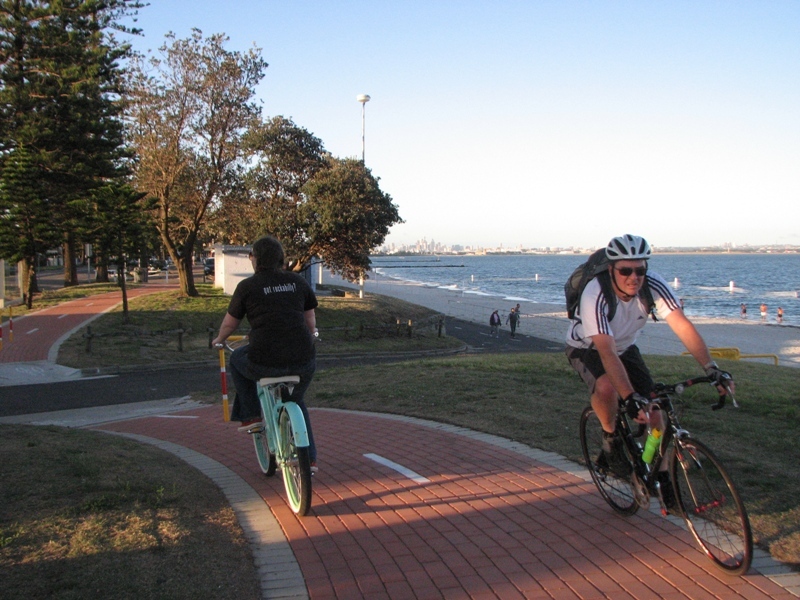 Brighton Le Sands cycleway – great scenery and plenty of room. A word of warning – avoid windy days! It’s very exposed to offshore winds and riding into a headwind is a killer! My bike is a customised Giant Simple cruiser, might have to post some of the build pics one day. The cycleway gets its fair share of serious riders too, so you have to keep half an eye behind you so you don’t block them. Take pity on them, their silly skinny wheels don’t like grass! Time for a rest break – ice cream time! We’ve earnt it. Not a bad view eh? 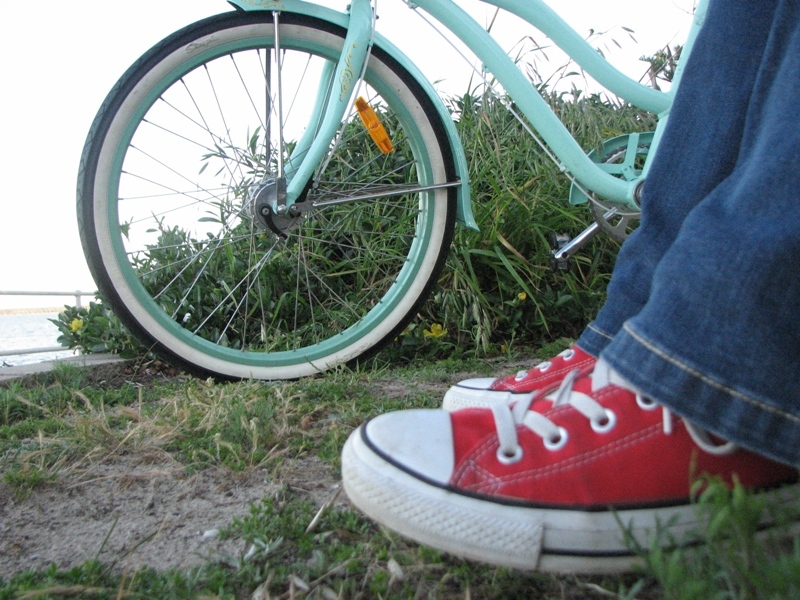 Cruisers and Cons, like peas and carrots.